A smart TV is any TV that lets you connect to the internet to access online services like video streaming, games, social networking, web browsing, and download/access apps. 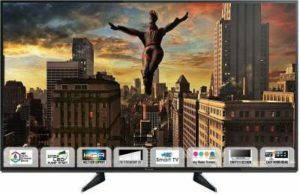 There are many options available in smart TV and it is difficult to choose right TV for home or office. 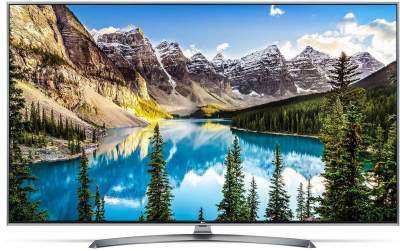 Here we will guide you to select best smart tv in India. We consider a TV smart, if it has a functioning operating system running on it. There are three big OSs right now – Samsung’s Tizen, Google’s Android TV and LG’s WebOS. In addition, Panasonic runs its TVs on Firefox OS. If you’ve already invested heavily in Google products and software, then a set that runs Android TV is the obvious choice. All the personalized data from your apps, including your YouTube history and your Google Photos, will easily sync with your new device. Plus, you’ll receive bonus features such as built-in Chromecasting and the ability to mirror your Android smartphone on the television. Quick pointers for buying a best smart TV or best Android TV in India. To get better viewing experience always buy a large screen TV if you have big rooms and required budget. Look for at least two HDMI ports; so you can connect your set-top box and an additional HDMI compatible device like a soundbar, laptop, gaming console, DSLR or camcorder. Curved TVs provide no extra benefit in terms of image quality or viewing angle, these are more of a marketing gimmick and style statement. Most TV speakers are of average quality because the panels are getting thinner, always plan to invest in a good soundbar or speakers if you want quality audio. 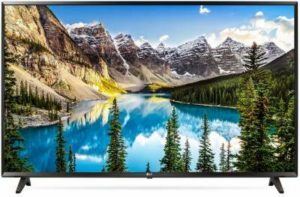 How to select the right TV Screen Size? Now LCD and Plasma TVs are no longer available for the consumer market. The screen types that are in use today are LED and OLED TVs. 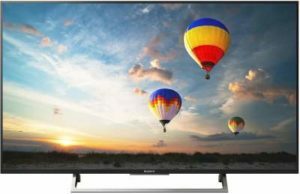 LED (Light Emitting Diode) TVs are the most popular type of TVs available in the market. LED TVs offer amazing picture quality. 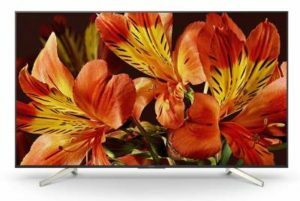 These HD Ready, Full HD, and Ultra HD TVs use Light Emitting Diodes (LEDs) to light up the screen and are extremely thin. There are 2 types of LED TVs: Backlit LED TVs and Edge Lit LED TVs. Backlit LED are best but expensive than Edge LED. OLED (Organic Light Emitting Diode) TVs are now being considered as the next standard of TVs. OLED TVs not only offers better color accuracy, amazing contrast, and wide viewing angles but also provide a picture that is virtually blur-free. This is due to the fact that every single pixel is individually illuminated resulting in true blacks and a mesmerizing range of colors. OLED TVs are also quite thin as compared to LED TVs. OLED TVs are a little expensive as compared to LED TVs. Screen Size and Resolution are the two main factors which affect the ideal viewing distance. In the case of Full HD content, the minimum viewing distance is around 1.5 times the size of your TV screen. So for a 60 inch TV, the ideal viewing distance would be 90 inches or 7.5 feet and maximum viewing distance would be double i.e. 15 feet. 32″ and smaller is ideal for bedrooms, kitchens, small shops and offices. 33″–49″ can be used in all average-sized living rooms and bedrooms too. 50″– 64″ it is recommended for big living rooms for amazing visual impact. 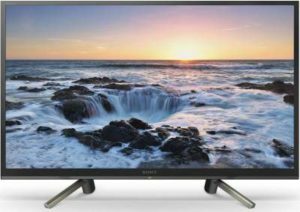 65″ or Larger It is recommended for home theatre setup for a truly immersive experience while watching sports and movies. Measured in pixels, the resolution of a TV is the number of individual pixels displayed horizontally and vertically. For example, “1920×1080”, in this resolution there would be 1080 horizontal lines of 1920 pixels each and 1920 vertical lines of 1080 pixels each. HDMI Ports – HDMI (High Definition Multimedia Interface) is an advanced and superior standard in device connectivity. HDMI offers superior quality audio and video as compared to standard audio video cables (S-Video, composite or RF). From set top boxes to DVD players, blu-ray players, gaming consoles and laptops, all the modern day devices now feature HDMI connectivity. So if you plan to connect more than one of these devices, then it is highly recommended to go for a TV with two or more HDMI ports. USB Ports – USB connectivity has been the default standard for connecting all kinds of digital devices like hard disks, USB pen drives, camcorders, digital cameras and internet dongles. Headphone Jack – Like USB, 3.5 mm headphone jack has also become the default method for connecting common consumer electronics devices like headphones, speakers, portable media players, digital cameras etc. Headphone Jack in TVs is most commonly used for connecting headphones, sound bars/speakers, and digital cameras. Built-in Wi-Fi – Wi-Fi is the popular technology to wirelessly connect to home/office networks and the internet. Most of the smart TVs feature built-in Wi-Fi to stream music, movies and videos directly from the internet. Ethernet Port – An Ethernet Port does exactly the same thing as Wi-Fi with one major difference i.e. you need a wire/cable (LAN cable) to connect to the Internet. You can also connect to home network and access content from other devices on the same network. Bluetooth – Bluetooth lets you pair your smartphone or wireless speaker to enjoy music. You can also share pictures and videos from your phone to a Bluetooth enabled TV wirelessly without connecting to your Wi-fi. Bluetooth is also very useful for connecting your Bluetooth headphones to the TV for a very personal TV viewing experience. When you check the technical specifications of any TV then you will find a feature called Refresh Rate which has some numeric value in hertz (Hz). What do these numbers mean? Refresh Rate refers to the number of times per second that a video screen is updated/refreshed. Higher the refresh rate, more frequently the screen is refreshed and smoother the picture. To summarize – higher the Refresh Rate smoother the picture. 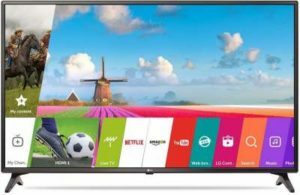 This another best LG smart TV with the same features in big size-49 Inch. That is all our the best smart TV in India. We have provided all important details for each model. We have considered those points/criteria, user feedback and price tag of the product to prepare this list. 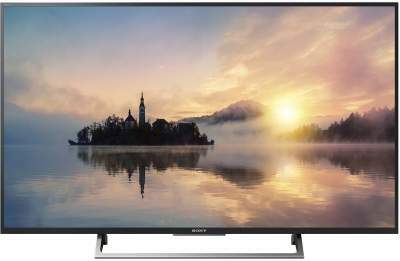 There are different ranges of best smart TV or Android TVs are available above and you can choose the one which fits in your budget and needs.